This week’s hot topic is that uTorrent has released a patch which makes Ads permanent and un-removable in their client. uTorrent is already complete aids, bundled with spyware and who knows what else. If you ever needed more of a reason to switch from uTorrent to one of the many community driven open source alternatives, now is a good time! This week a new version of uTorrent was released, one that is expected to disappoint a large subset of the clients’ users. The latest release no longer includes a setting to disable the ad in the left corner of the app, an option that was made available in the client after a previous user revolt. So where do we go from here? Luckily there are plenty of alternatives to uTorrent. Most of them are open source projects meaning you know exactly what you are getting from them and all the sleezy money-making schemes are left out. Deluge is my #1 mention as it is a full GUI enabled application and is available for any OS. Windows users should feel right at home with Deluge coming from uTorrent, and Linux users are not left out as there is also a Web interface available for the Deluge daemon. Deluge is very lightweight, has a low memory footprint and can run hundreds of torrents at a time. Additionally, it has a plugin system allowing for features such as automatic unpacking or auto downloading. Deluge is also one of the few remaining torrent clients that make use of Socks5 proxy which some people prefer as an alternative to a full VPN solution. qBitTorrent is a lesser known software, but another top mention. It is a fully GUI enabled torrent client available for all OS platforms. 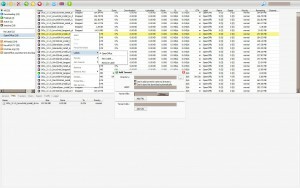 qBitTorrent has a very familiar interface to uTorrent users and a strong feature set. 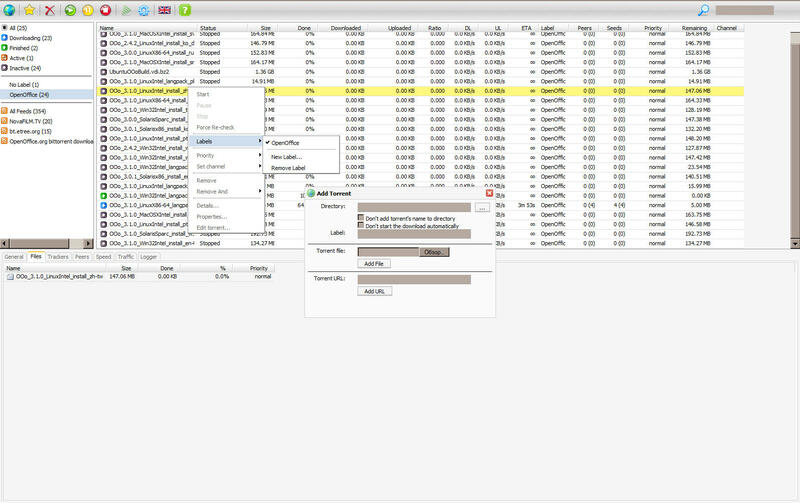 A unique feature is a built in search engine allowing users to find torrents off popular public trackers right from within the client. This is another client focusing on a light footprint so it won’t tax your system too badly, even with hundreds of torrents seeded at a time. Vuze is a GUI focused bittorrent client for Windows and MacOS. Although Vuze is fairly lightweight, it has a bit of a different approach in it’s client, striving to have a very feature rich “Media Center” feel. The client is capable of audio and video playback from right within the client, as well as the ability to transcode content for your favorite device (such as your Android mobile phone!). The feature set is great, but you could also question how necessary these features are in a torrent client. It’s added weight to a client that most people want to just focus on downloading. rTorrent is a console based torrent client which is extremely popular on Linux platforms (although available for any OS!). The console interface is often paired with a Web front end called ruTorrent to bring a more intuitive and familiar look and feel to the client. ruTorrent is generally the interface of choice for Seedboxes (servers that are “in the cloud” with the purpose of seeding / downloading torrents for you). It is very popular, but for home usage, perhaps not the best replacement for uTorrent.